For lack of a better definition, a “Degree” can loosely be interpreted as “being introduced to a new principal”. Being of a lower degree does not really affect what you can be involved in or what activities you can contribute to. However, all officers and 4th Degree applicants must have already obtained their 3rd degree. 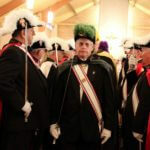 In a degree ceremony you are introduced to one of the four principals that the Knights of Columbus holds in high regard. In your 1st degree, you learn the principal of “charity”. In the 2nd degree you learn the principal of “unity”. In your 3rd degree, you learn the principal of “fraternity”. Finally, in your 4th degree, you learn the principle of “patriotism”. It’d these four principals that we base all of our actions. To move forward, you must learn each in detail. 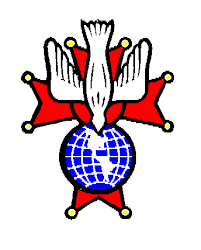 The first degree ceremony is for prospective Knights that wish to enter the order. You must be a minimum of 18 years of age, Male, and a Catholic in good standing. An application needs to be filled out and submitted to a fellow Knight who will read it at a business meeting. Once the applicant is approved and sponsored, he is invited to attend the next council first degree ceremony. Please download, print, fill out and return to a member of this council. The 2nd & 3rd degree ceremony does not have any requirements or applications to fill out. (Your council dues cover the cost of the ceremony). The ceremonies are also typically done together, so a Knight will have jumped from a 1st degree to 3rd degree. Knight by the end of the process. Since the ceremony is held usually at another council, Knights of our council usually carpool together in support of one another. The 4th degree ceremony is a big moment for a Knight and his family. The prospective 4th degree candidate will be in a ceremony for most of the day, while his wife attends functions specially arranged for her. This day is for both the Knight and his spouse which includes activities for both. A black tie celebration for the Knight and his spouse is held that evening. To apply for the 4th degree exemplification, you must have attained your 3rd degree and been a Knight for at least 6 months. An application has to be filled out and degree fees have to be submitted. The ceremony and celebration after is a black tie event. Certain members of the 4th degree serve as honor guards at civic and religious functions. 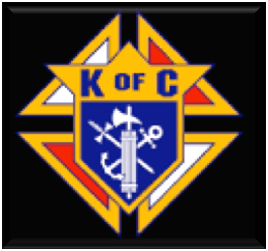 This activity has brought worldwide recognition to the Knights of Columbus. You may recognize 4th degree Honor Guard members as they wear a tux, colorful caps, chapeaux (feathered hats), white gloves, and a sword.